Nottingham Wedding and Family Photographer - The one thing your spring family photo session should be above all else. What do you want from a family photo session? It's obvious isn't it? You're after stunning photographs of your family to put on the wall. Of course you are! But surely there's more to it - isn't there? Having a little time for reflection after being busy exploring the bluebells. THERE ARE two options for a family photo shoot. Have you got pictures that look like this? 1) The first is, you could get everyone together, get everybody to smile at the camera and do lots of posed shots. You'll probably spend the whole time worrying about the kids. Are they standing still? Are they looking at the camera? Are they smiling? Are they behaving? You'll probably end up with pictures where everybody is looking at the camera, some of you will be smiling naturally but others will have more forced smiles (maybe even like Chandler from that engagement shoot in Friends) and some might not even be smiling at all. Those bluebells in the hair and the adorable smile will remind you of joy of exploring those bluebell woods. 2) Alternatively, we could create a relaxed session for you, letting your kids run wild and explore their surroundings allowing you to relax. We'll capture genuine smiles, personalities and you might even forget the camera is there. Then every time you walk past the beautifully framed images, you'll think back to that experience. 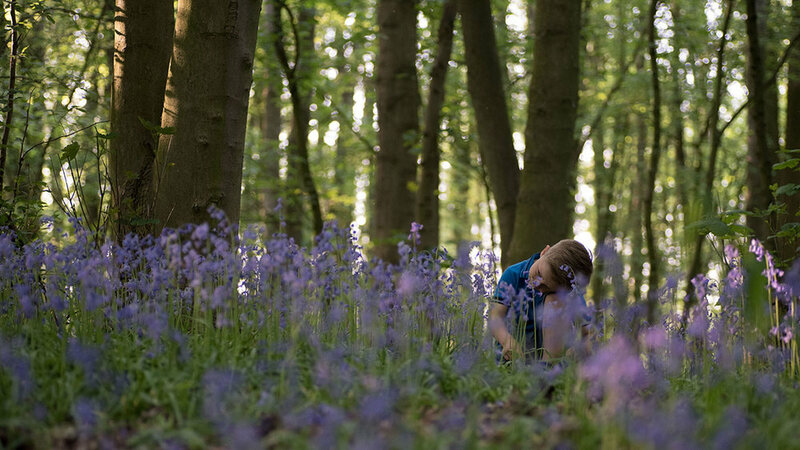 You'll see a picture of you and your family having a blast; you'll think back to your kids' laughter and that day when you all went for a walk in the bluebell woods or were splashing around in the puddles. You'll think back to that moment where you were just together, a family. If the second situation sounds more like the thing you're after, then great! We think we're going to get along. The one thing all our favourite images have in common is that personality and emotions really shine through. A fun session means you'll get great images. It means you'll fondly look back at the experience. It means your kids will want to do it again, won't fear the camera and above all can look back on those images for years to come. That natural giggle is so much better than those pictures where everybody looks at the camera and say "CHEEESE!" So what is a family photo session really all about? A family photo session is dedicated family time. There's no need for phones. No worrying about work. No worrying about that email you've got to send or the washing you've got to put on. 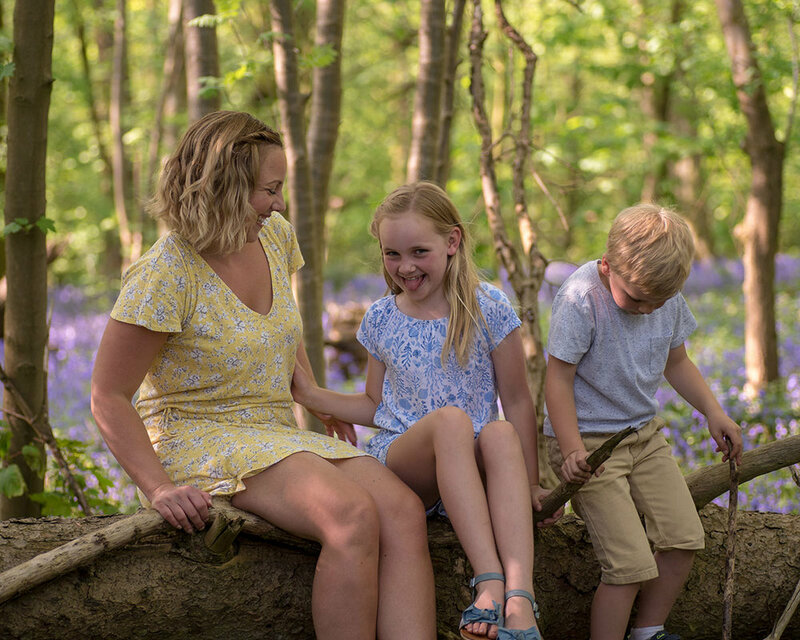 If you're interested in your very own fun family photo session in Nottinghamshire or Derbyshire - why not book your bluebell family photo shoot here.